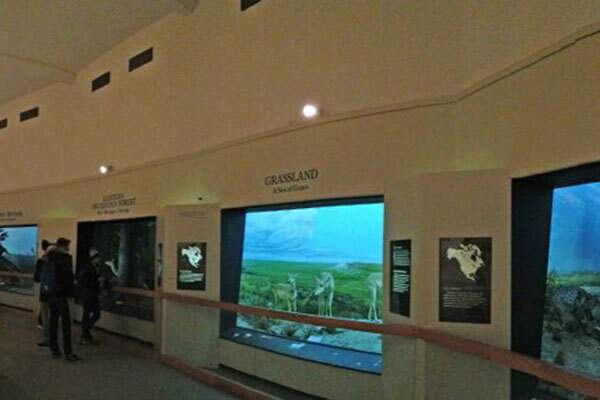 The Habitat Hall features life-sized dioramas depicting the environments of North America including forests, grasslands, deserts, tropics and the tundra. 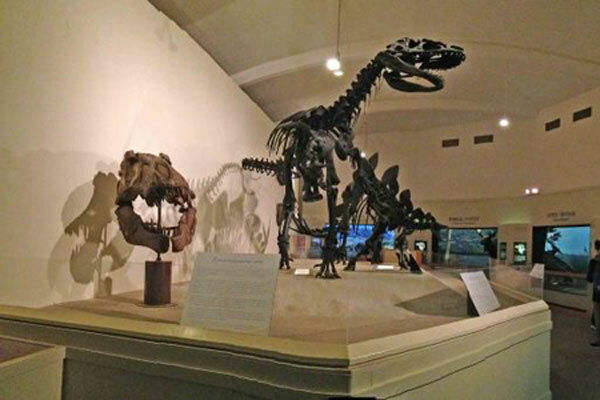 Also featured are complete, mounted articulated skeletons of two of the great Jurassic dinosaurs, Allosaurus and Stegosaurus, as well as several smaller displays related to dinosaurs. 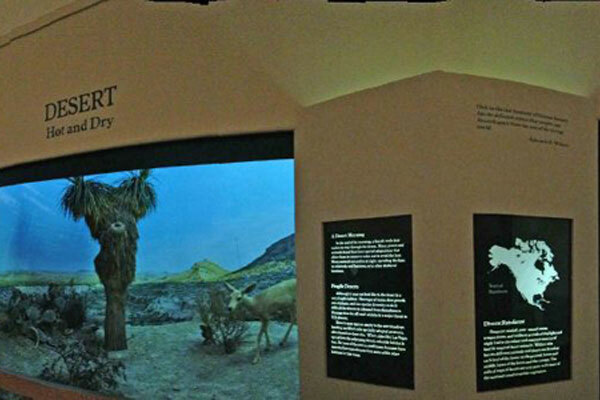 Through the display of seven, large-scale dioramas along the circular wall of the room, the exhibit presents the major habitats found in North and Central America. They focus on various members of the deer family and their adaptations to different environments. 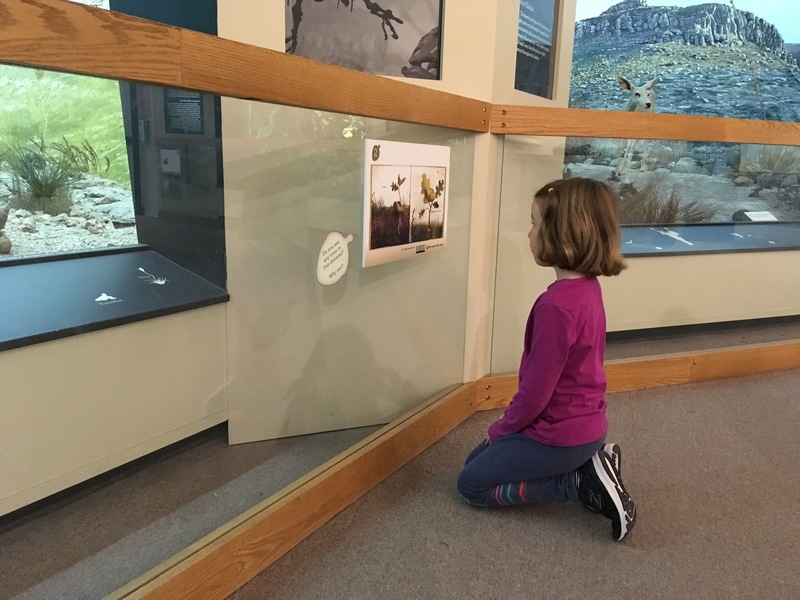 The center of the room displays life size models and casts of dinosaurs made directly from the original bones and an area with touchable dinosaur fossil bones. 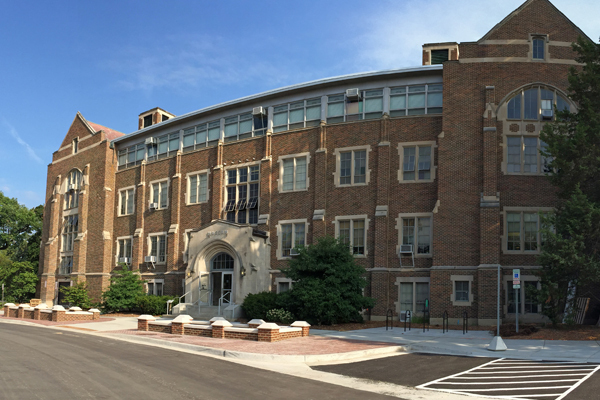 John W. Hope painted the backgrounds in the Hall of Evolution and mounted the major animals in the Habitat Hall. He worked for the American Museum of Natural History in New York during the 1920’s and 1930’s. Past historical curator at the MSU Museum, Val Berryman, worked on the caribou, moose and white tail deer habitats in 1962.